With wall-to-wall trampolines, you'll be hard pressed to touch them all! In fact, make that a goal, come out and bounce on every trampoline and make sure they all work right! Thousands of square feet of fun for your bouncing pleasure! Dodgeball Court - we have the radical new twist on the old game! Come and try our newest attraction. Try your luck at WIPE OUT!! The spinning wheel will try and knock you over but with a trampoline under you WIPE OUT will not win! 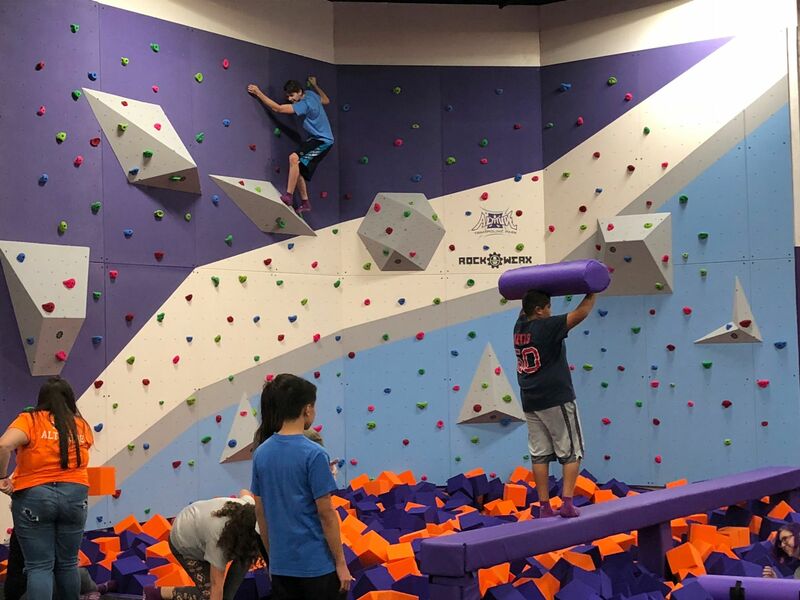 Altitude Trampoline Park is the only park in the area with a massive 20 ft high indoor rock wall to play on! Scared of falling? Don't be! Our rock wall is situated above large foam pits as well! The best part, it doesn't cost any extra to come and climb on the rock wall, it's included with your ticket cost! Have you ever wanted to fly? 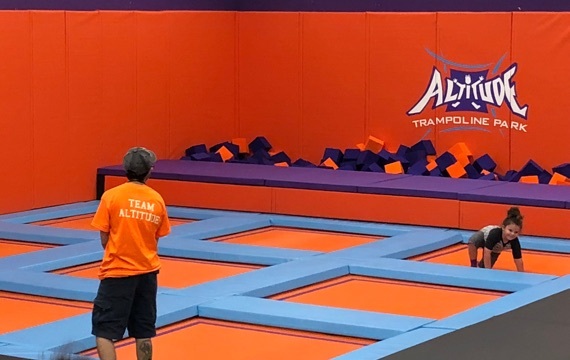 Now you can fly without fear because Altitude offers a Trapeze Swing that is hung high above one of our large foam pits. Just swing out and drop in! We will be giving away FREE Jump Passes Every Day of Vacation. See you soon.